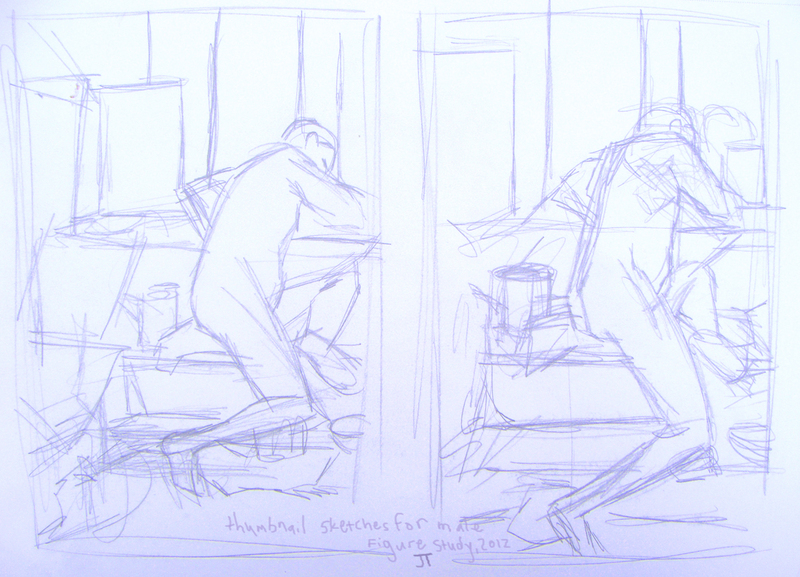 If adeptly rendering the human form is one of your goals, I can’t overstate the importance of doing figure studies on a regular basis, and drawing from real life when possible. If you are a student, your campus probably has an art club/drawing group. For those of us out of the education system, there are a plethora of art meet-up groups in most cities if you do some online research. 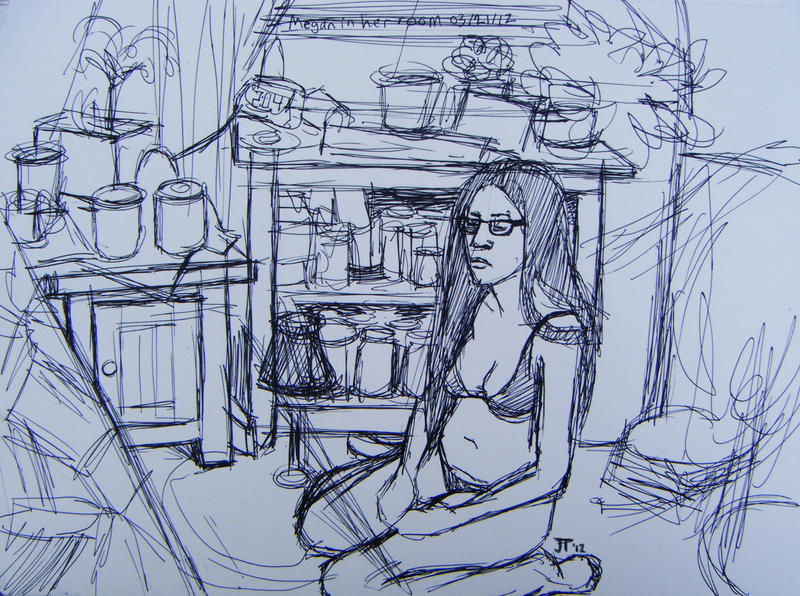 Look into these if you want more opportunities to sketch live models from direct observation! 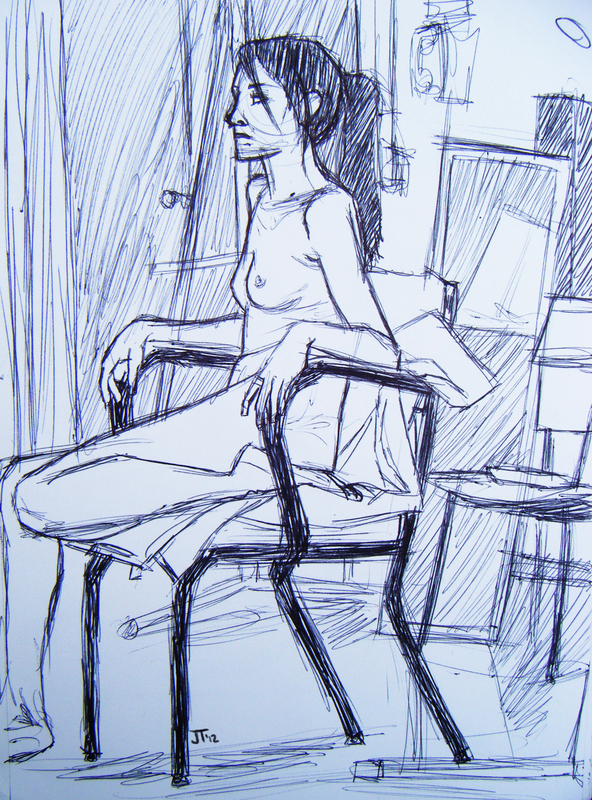 Figure Study – Girl II, 2012. I also highly recommend The Atlas of Human Anatomy for Artists by Stephen Rogers Peck. I’ve referenced this book often in the years since buying it. It’s beneficial to study firsthand a wide gamut of body types and incorporate their looks into your personal work, if you like to design humanoid characters. The same reason painting en plein air is important if you like to design landscapes from imagination – because in all honesty, nothing will prepare you more for working from imagination than studying the way forces work and interact in real life (lighting, anatomy, composition, framing, etc). P.S. – I’ll probably start cross-posting some of my work from Noah Bradley‘s Summer Art Camp here soon. It’s been way too productive for me not to share my progress with the interwebs! P.P.S. – I didn’t intend for my blog posts to become..instructional. But if someone gleans some useful information from my blog, I’d feel good about it!